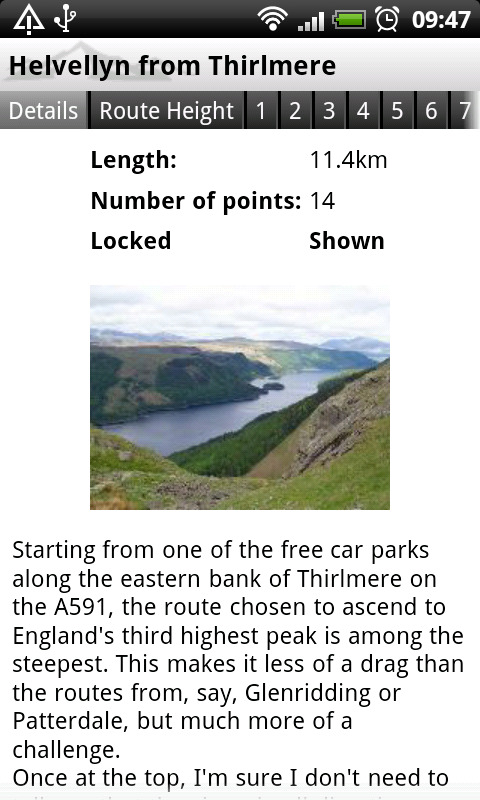 We have released the latest update of our ViewRanger Outdoors GPS app. It is available through the AndroidMarket and from our website. Swipe across the screen to change page, tabs at the top indicate where you are. For a Track, the pages available are the details page, height graph, speed graph and combined graph. 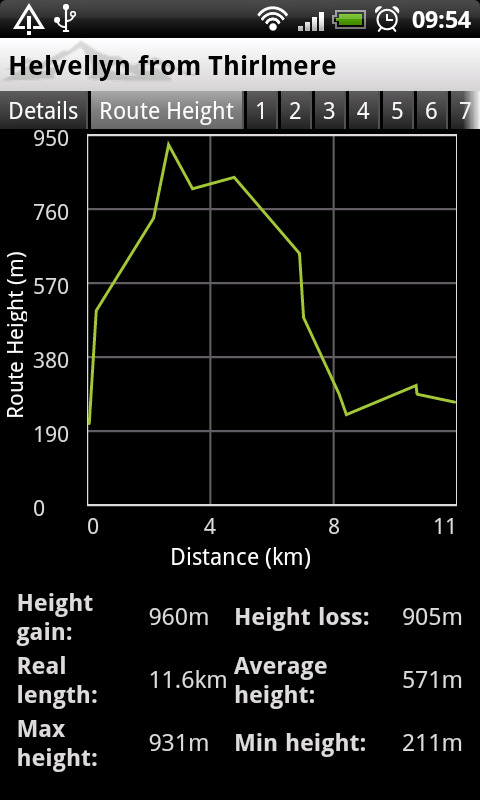 For a Route, the pages available are the route description, height graph, and a page per waypoint. 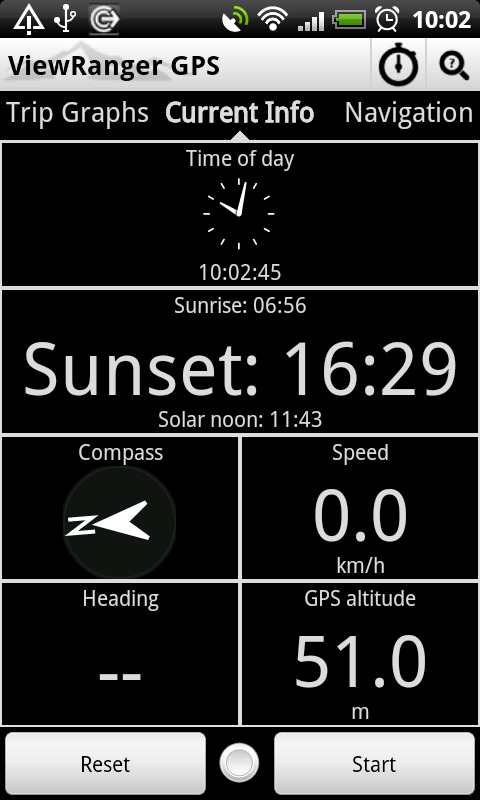 By default, pages are only shown for route waypoints that have description. Use the menu key option to show them all. Each page can be individually configured with the stats you need - use menu key > Trip view layout > Set number of field to control how many boxes are shown, press and hold to change what the box contains. 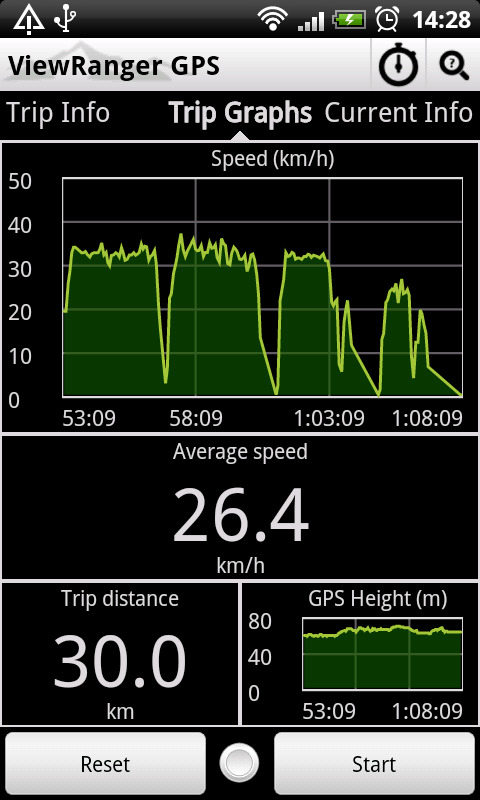 Rolling graphs are now available, for speed, (calculated map) height, GPS height and distance. 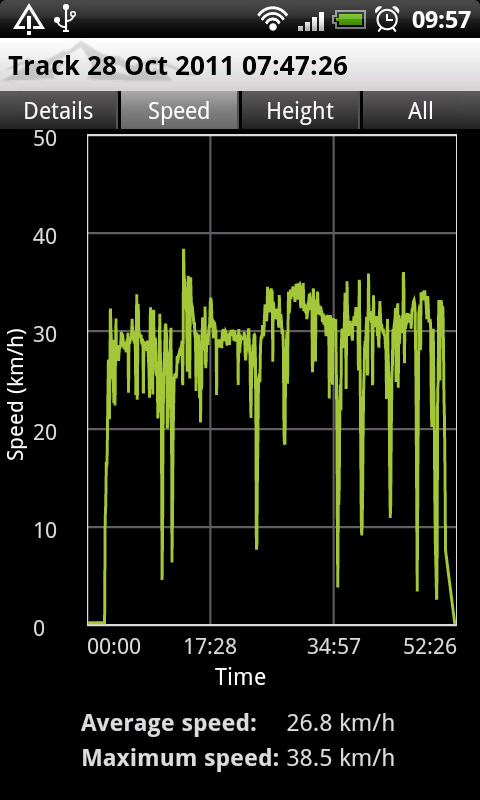 Set the duration of the rolling graph using Settings > Display settings > Trip graph time window. 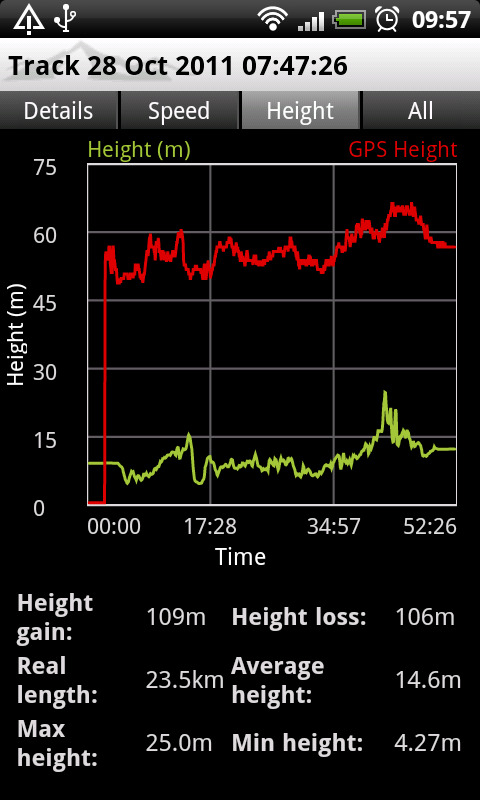 The default 15 minutes means the graph in the trip view shows the last 15 minutes. Synchronize with your My.ViewRanger web account by going to Organizer and using menu key > Synchronize. Synchronize makes it easy to store your tracks, access routes, and transfer tracks and routes between mobile devices (e.g. between an Android phone and an iPad). In Settings > Synchronize you can now enable the upload of Routes and the download of Tracks, as part of the sync. You can also enable the synchronization of selected app settings. Routes and tracks show a sync symbol alongside in the Organizer if they have been changed since the last sync. Routes and tracks which have been newly received by sync or download are indicated with a yellow and white star symbol. There have been a number of bug fixes. All crashes reported through Android Market have been fixed. To update the app either use the Android Market, or use the phone's web browser to visit www.viewranger.com/software, tap on on the Android logo to download, then the downloaded file to install.